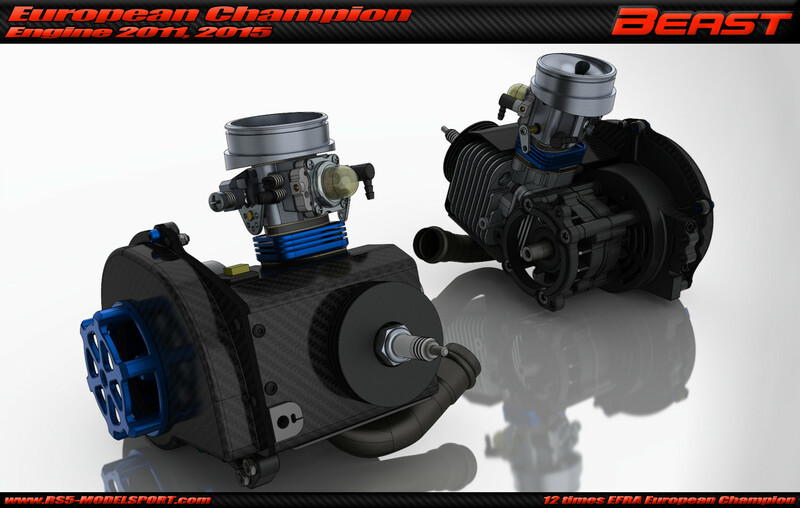 Back at 2011 we decided to lounch a car and engine project - called “TX” - where the engine has an CNC machined crankcase and it is structural part of the car. The main idea behind this project was to make the engine as low positioned as possible to reduce the center of gravity of the car and to make the car 100% symmetrical. This kit is a cost efficient option for you to have an spare engine. 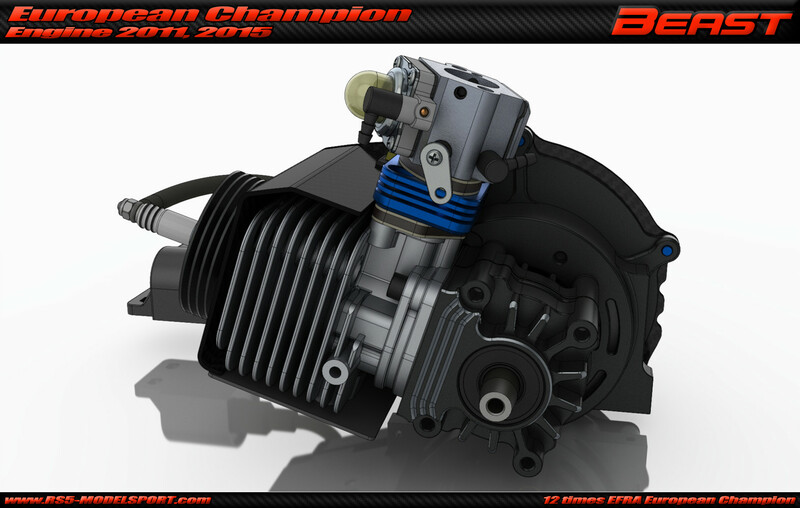 It includes a ready to run Beast engine (22800) without the following components: Ignition Coil, Spark plug, Cylinder heatsink, Engine covers. The ignition system's rotor sits behind the ventilator, not like on stock Zenoah engines. 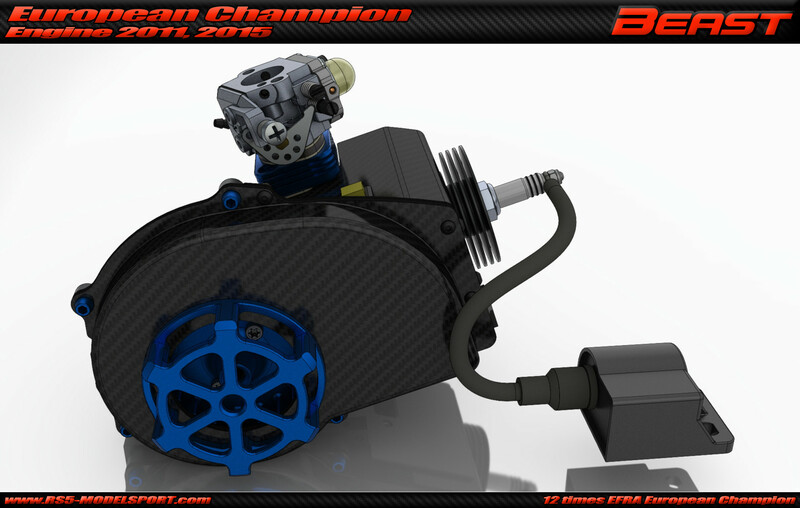 With this layout the cylinder cooling is better, because there is nothing (ignition) in the airflow, so the engine cooling becomes more efficient. 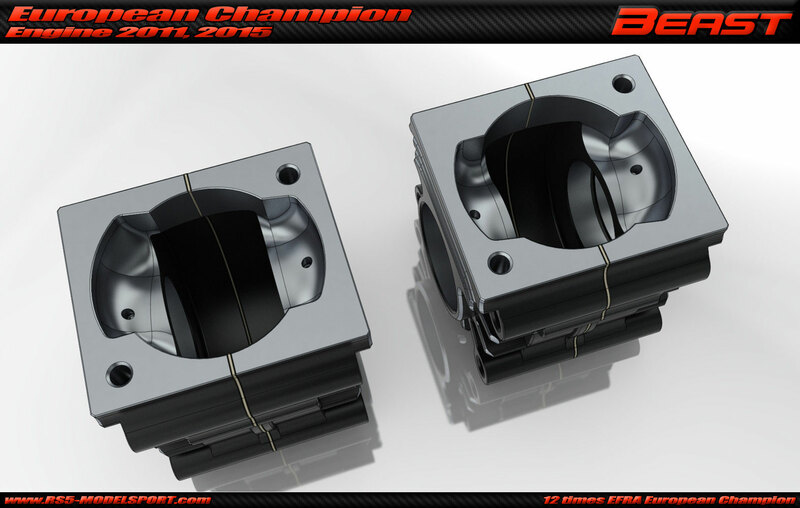 The ignition housing is made of 7075-T6 aluminum and CNC machined, which makes the right side of the car as stiff as the left side, where the engine fixing components are. 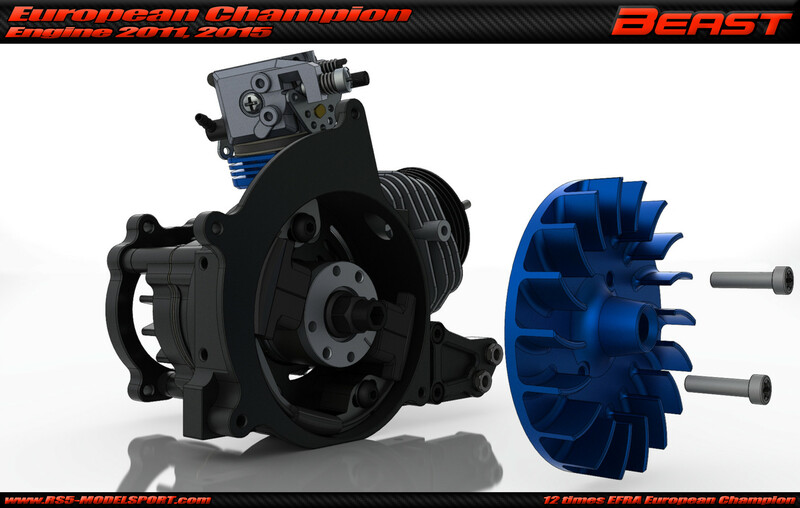 With this solution engine becomes structural part of the car and acts as a load carrying element and not just as power source. 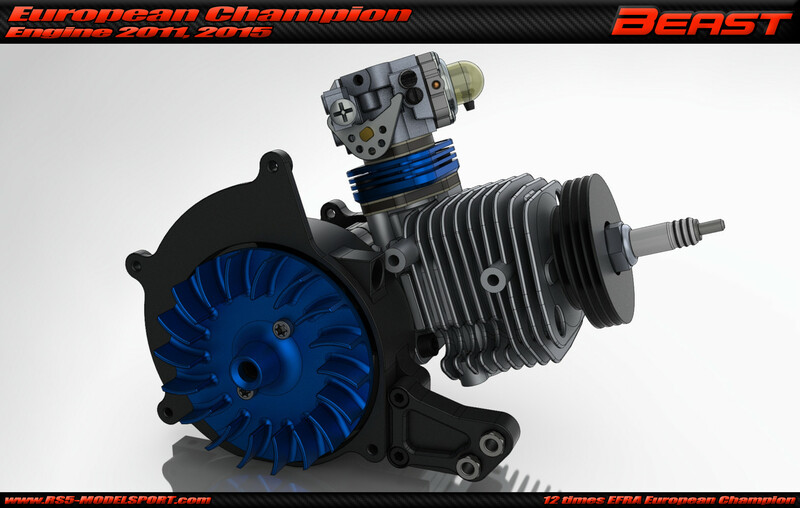 The Beast engine has Selettra ignition system. This type of ignition has 3 main components. 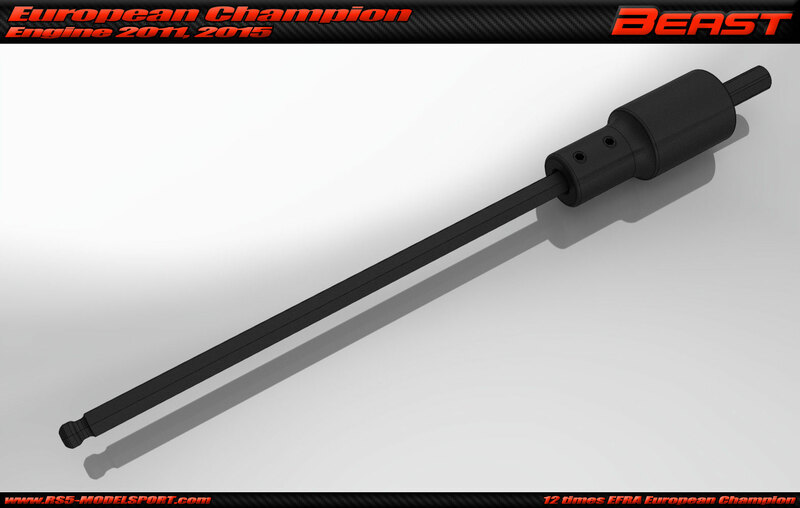 The first component is the external ignition coil, which is detached from the engine cover. The placement of this part is free, we usually fix it to the side of the car, next to the battery. The second component is the ignition stator, which is bolted to the ignition housing. 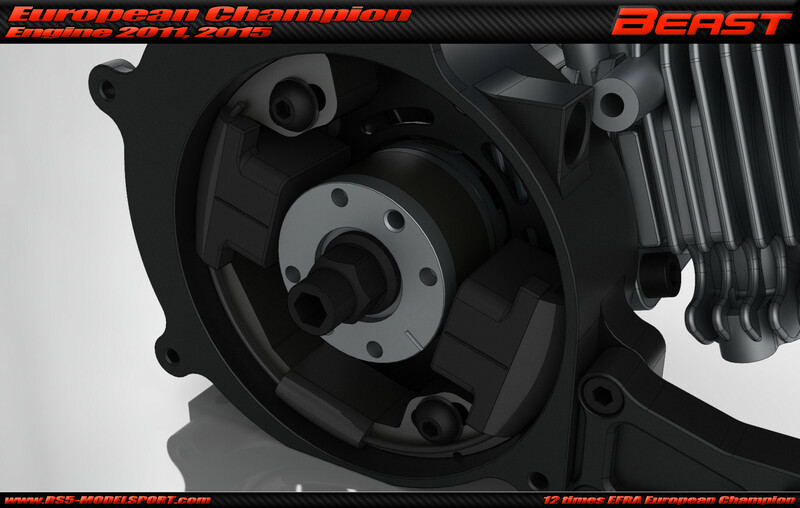 The stator has oval holes, so the advance-ignition can be adjusted between zero and 30 degrees. 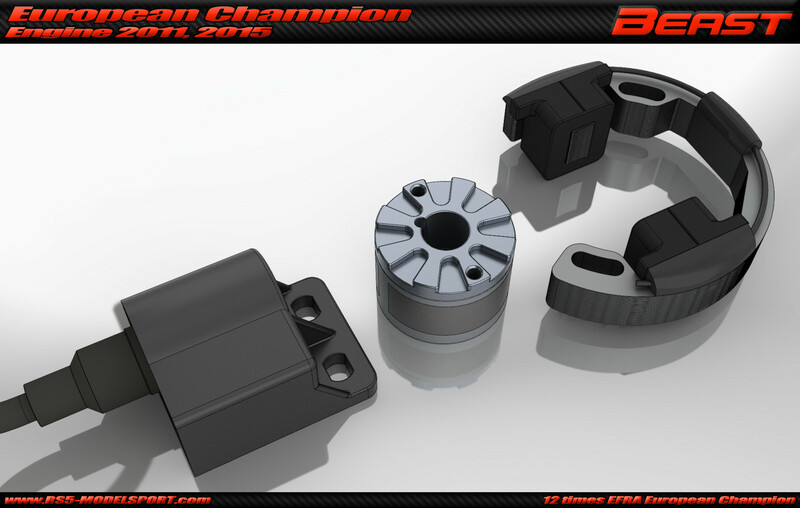 The third part is the ignition rotor, which is bolted to the standard Zenoah crankshaft, with a special adapter and a nut. This special nut has hexagon inside to let start the engine with an external electro-starter. 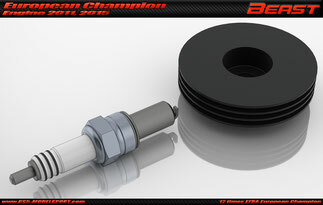 This special adapter aligns the rotor to the optimal ignition timing range with his keylock slot. 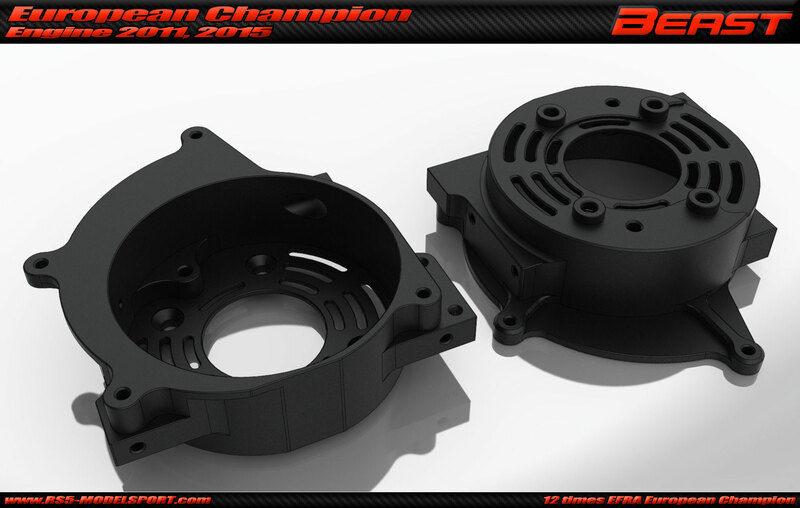 Our two piece compact Crankcase made of a special alloy that has very high heat dissipation and both are 100% CNC machined. Before they got the final shape, a lot of prototype was made and tested, until we reach the current channel and port design. Extra stiffeners and cooling ribs were added to the crankcase to support the main ball-bearing and to support heat dissipation. 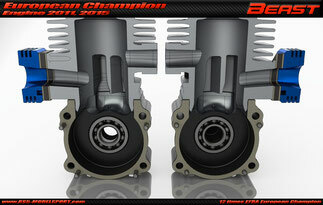 The left and right side of the crankcase are machined together, to keep as small as possible production tolerances. During machining the left and right side crankcases are marked together, to assure they stay together during engine assembly. 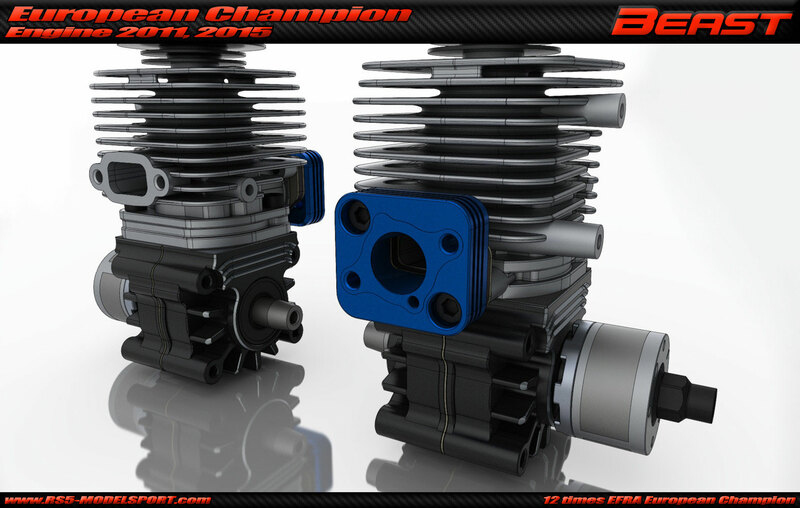 The channels of the crankcase and the insulator are 3D CNC machined, which perfectly match with the ports of the Zenoah cylinder. 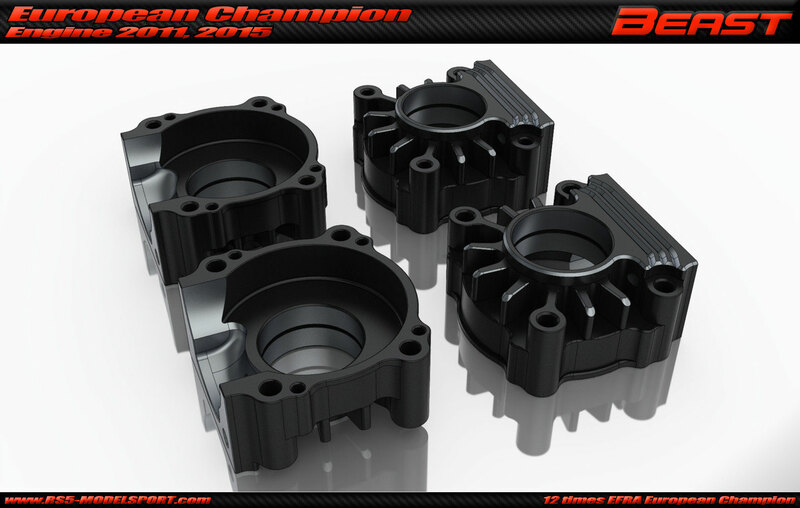 The shape of the two side channels of the crankcase are very important, therefore they are optimized, because they define the way and direction of the gas-flow. Our alloy insulator has heatsinks to increase the heat dissipation and to cool down inspired air. The shape of its inside channel is very important, so they are optimized to let the air in the cylinder in the best possible direction. 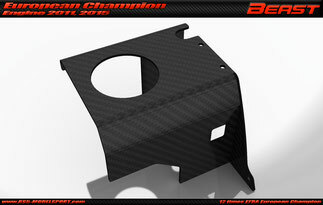 The ventilator cover of the Beast engine made of 3mm thick Carbon, to optimise airflow and to reduce engine temperature. This carbon cover a way more resistant than the cast alloy cover of Zenoah engines. It protects well against a ventilator explosion, just in case. 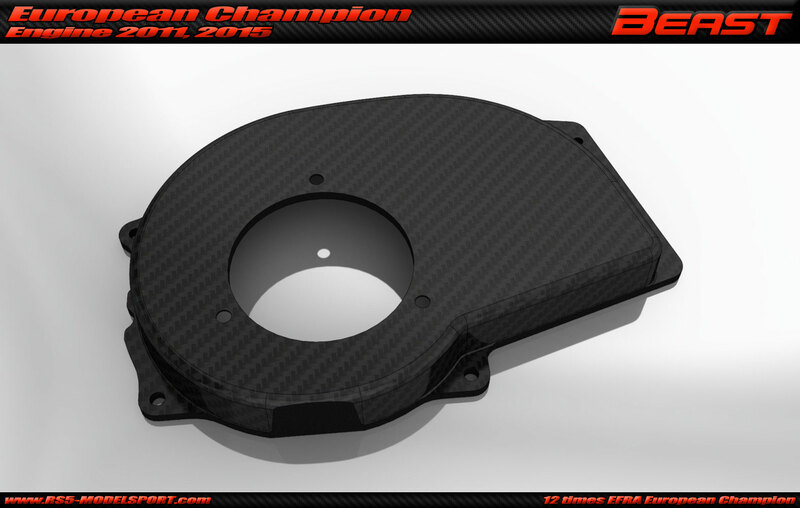 The cylinder cover also made of 1.5mm carbon. Both covers are CNC machined and made of high quality carbon fibre. 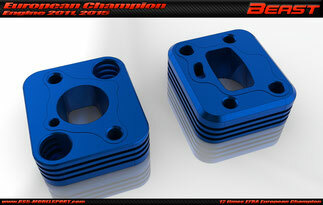 Our piston is ultra-light, its weight is only 19.0 grams. It is b 20% (4,5 gram) lighter than the standard Zenoah piston (23,5 gram). 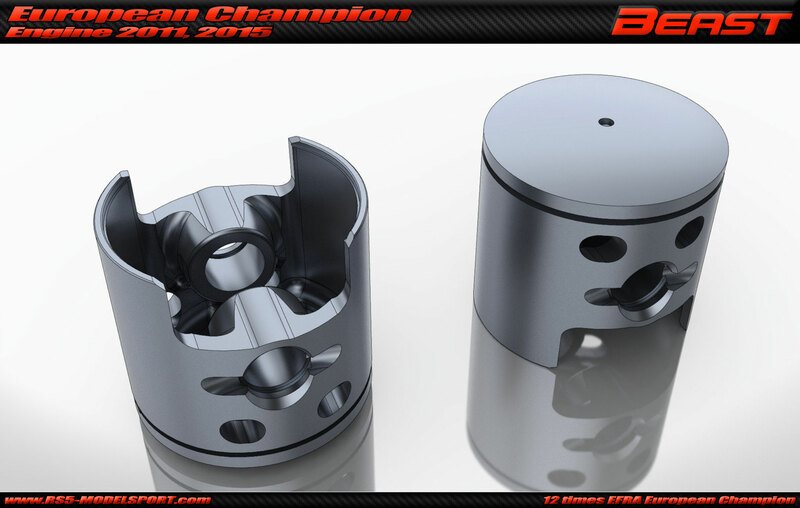 The piston modification is made completely with CNC machine. The piston has four windows on the side to increase to amount of mixture which goes up to the combustion chamber and to cool down the piston. The Insulator Set is 3D CNC machined, which perfectly match with the ports of the Zenoah cylinder. It has heatsinks to increase the heat dissipation and to cool down inspired air. The shape of its inside channel is very important, so they are optimized to let the air in the cylinder in the best possible direction. The Beast engines has an extra Cylinder head Heatsink, to take out more heat form the cylinder head and keep them as cool as possible. To use this heatsink we have use longer spark plugs. 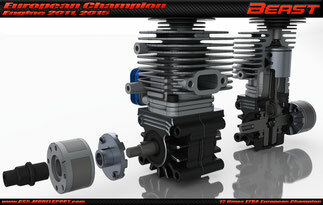 The Beast engine can be started only with an external electro starter. All Tx chassis kit and Tx conversion kit include an E-Starter rod with one-way bearing. With a battery drill you can easily start the Beast. Using this E-Starter design the ventilator can easily get air, because no component of the pull starter stays in the way of the air suction.